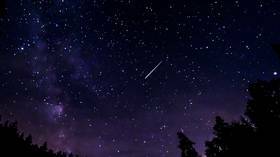 All videos show that the object crossed the sky at an extremely high speed and had a fire-tail, like meteors usually have when they cut Earth&apos;s atmosphere. However, it&apos;s still not clear whether it was a real meteor or not. Officials have not commented yet on the sightings, reports and videos. Published on Sun, 10 Feb 2019 18:31:00 GMT, © All rights reserved by the publisher.